Max Byrne is a producer out of Brisbane, Australia who is making chilled electronic music under the name Golden Vessel. The 20 year-old songwriter is already creating music at a level of professionalism that many artists strive to reach after working away at their sound for many years. His smooth electronic arrangements of down-tempo beats feature elements of hip-hop, trap and soul, all laced in a pristine lo-fi sheen. Max used to think he was narrow minded when it came to music, but as his tastes continued to develop and widen, it led to the discovery of synthesizers and the many different styles of electronic music. The idea of music production being an actual form of art really opened his eyes to a whole new world of musical tastes, influences and sounds. He began researching into how some of his musical inspirations created their music, then taking this information and making it work for Golden Vessel. Golden Vessel kicked off 2015 with an incredible new single called ‘Control’, which saw him working with Caleb Hodges from Australian band Art of Sleeping. He then released his second single for the year, titled ‘Borrowed Time’ it featured the stunning vocals and lyric-work of Brisbane singer/songwriter Tiana Khasi. Shortly after this release Golden Vessel joined the Mammal Sounds management family and really started to focus on making a career out of music. In 2016 Golden Vessel released quite an impressive 6-track debut ep called ‘Before Sleep EP’, which saw him working with some very talented Australia artists such as Lastlings, Tom Eggert (of MTNS), OKBADLANDS, Abraham Tilbury and Woodes. The ep’s three singles received premieres with Rolling Stone, THUMP and Billboard, and they each won the support of the team over at Triple J with airplay on main radio and Unearthed, as well as being made Triple J Unearthed’s Feature Artist in May. He was then invited to play the Triple J Unearthed showcase stage at BIGSOUND 2016, which lead to a partnership with New World Artists for bookings & tours within Australia/Asia. Golden Vessel then kicked-off 2017 in strong form, signing his first record deal with Exist Recordings (founded by The Kite String Tangle) for Australasia, and shortly after released his debut single with them titled ‘Tell The-Girl’ featuring his friend Emerson Leif on vocals. This single was added to full rotation on Triple J and won the praise and admiration of online media & audiences all around the globe. 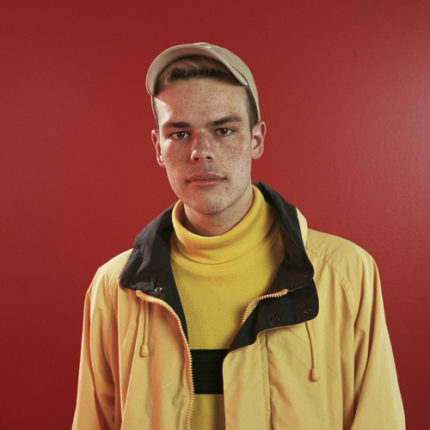 In June 2017 Golden Vessel released his next single ‘Shoulders’ which featured his good friends elkkle & Mallrat on vocals. This song was also added to rotation on Triple J and has since been received extremely well by his domestic & international audience. This single also came with news of his second ep which is titled “Right/Side” and will be seeing its release in September 2017. E^ST, Kllo, LANKS, Yeo, KLP, Vera Blue, Vallis Alps, CLN, Art of Sleeping, Art vs Science, Willow Beats, UV Boi, Young Franco and Elephant. is in the very same niche as yours and my users would genuinely benefit from a lot of the information you provide here. Yeah for sure mate, as long as you link back to our page & credit us where needed that is totally fine!